Let’s face it. Everyone needs a break from their daily routine from time to time. If you don’t live in the same city where the conference is organised, you need to travel. And there’s nothing better than travelling if you want to break the routine at least for a little while. Usually, such conferences are held in quite interesting locations, so it’s not only a great opportunity to learn something valuable for your career but also to visit places, do some sightseeing and meet new people. There are also some treats organised directly at the venue. 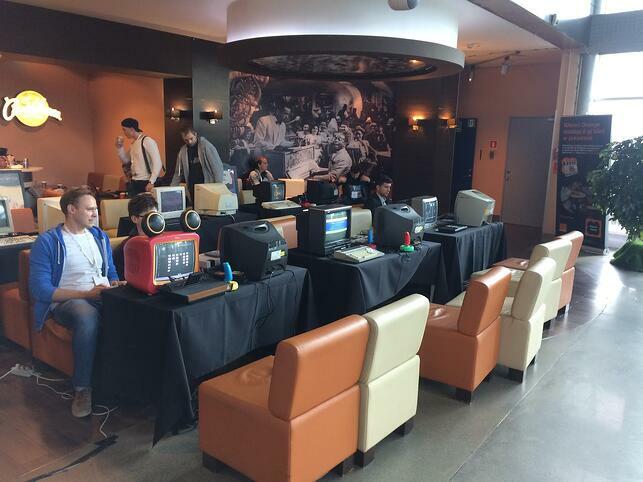 For example, Mobiconf was able to deliver a retro gaming zone where attendees could spend their time during breaks playing some evergreen classics, such as Pong, Worms or Grand Theft Auto. During the talks, people asking the most interesting questions were rewarded with some educational prizes, like books or gadgets. All attendees could also visit stands of conference sponsors and supporters to learn about their products and services. Most attendees of international development conferences can usually find something interesting for themselves. 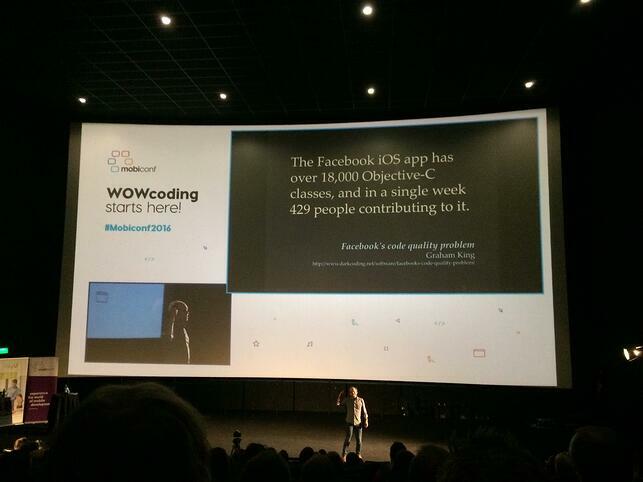 Mobiconf was no different in this matter. The talks were divided into different categories: platform-specific (separate both for Android and iOS) or everything mobile-related (including workshops and talks about various subjects such as digital publishing, entrepreneurship or design). Which one to choose was, of course, completely up to a given attendee. 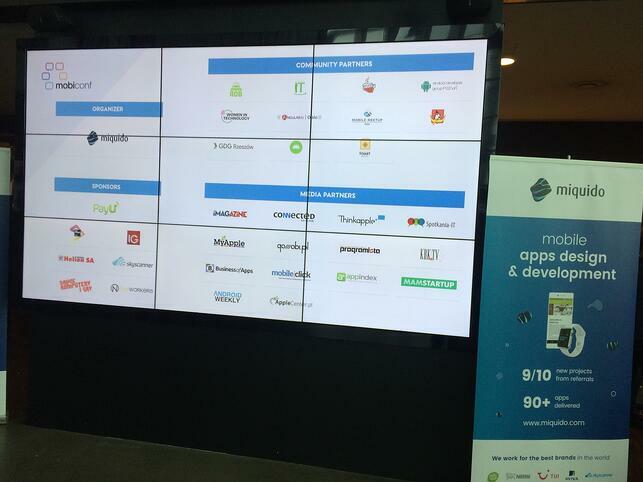 The presentations covered many topics from different areas of software development, e.g. clean architecture, application security or working with wireless peripherals. All the talks were prepared really well, and it was clearly visible that the speakers had excellent knowledge of their subjects. It came as no surprise though since the talks were given by people who are experienced speakers, well-known in the iOS development world – many of them work in the engineering divisions of companies like Facebook, Spotify or Soundcloud. That’s exactly what developer conferences are expected to deliver: many quality talks on different technical subjects given by experienced software development specialists. And even if some of the subjects can be difficult to understand, they are usually presented in an understandable form. Speakers also take care to clearly answer all questions coming from the audience, just to make sure that nobody gets lost. There’s also another factor: being at the spot where the conference is held somehow forces you to attend (since that’s the reason you’re there, right?). That’s a great instant knowledge boost because there’s no such thing as “I’ll do it later”. As we all know, in software development industry there are so many articles and books to read, podcasts to listen or talks to watch that you’d usually just bookmark them for later. It’s different in the case of a conference – all presentations take place here and now at a specific time. The consequence is, you can’t reschedule or “snooze” them, which makes it much harder to miss something. Here we come to the part which is crucial, and its importance is often misunderstood by many people. It is a trend that talks during such events are often recorded. And even if they’re not (which happens rather rarely), or the videos are not released to the public (that happens more often), the speakers are usually keen to share slides from their presentations. So, if you’re highly interested in the content presented during a conference or meetup you cannot attend, there’s a pretty high chance you would be able to catch up with it within a couple of days after the event. And even if you have some questions about the topic, you can always ask a speaker on Twitter. So why bother? Well, first of all, you won’t be able to meet any of the attendees in person. That’s a pretty important thing because you can share your experiences and learn from others. It is also a great boost of industry-specific knowledge, which will be valuable both for you and the organisation you’re working for. You’re also losing a chance to bring your interaction with these specialists to a level which is beyond the fleeting digital exchange of messages. By that I mean that the actual ability to talk to them in person, before or after the talk. Trust me - they’re really nice people! And, of course, there is also the afterparty. The afterparty which, in most cases, is awesome. 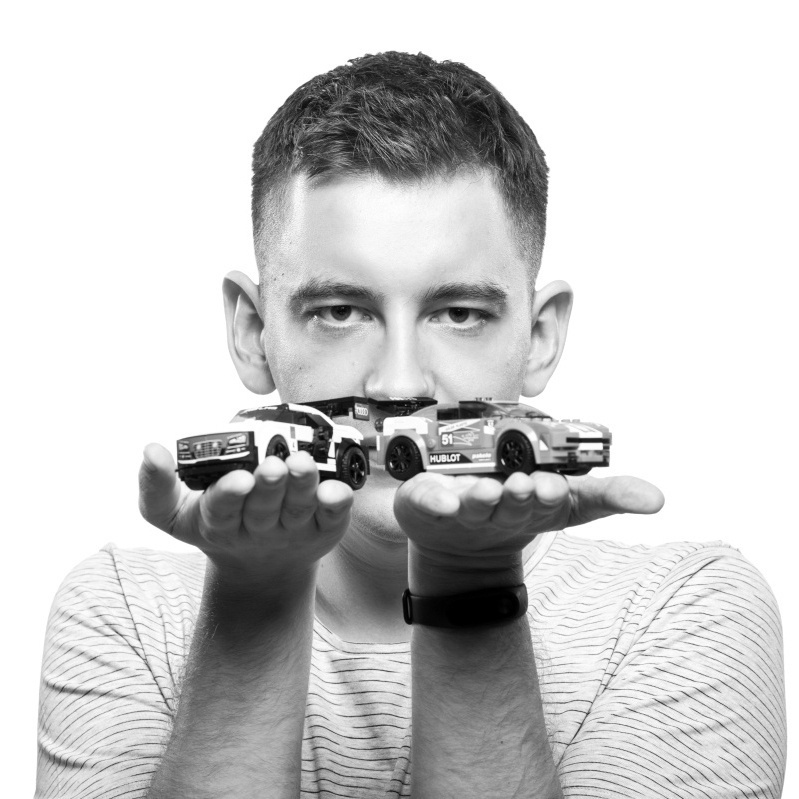 At Mobiconf, we were cruising around Cracow in a party tram with lots of drinks, pop music, disco lights and Stormtroopers. How cool is that!? So, Should a Software Developer Attend Conferences? Definitely. It is a great chance to meet people, have some fun and listen to interesting talks. It is a win-win situation for many parties, including you and the company you work for. As a software developer, you can benefit from a conference directly by training in both technical and communication skills, giving yourself a chance to grow professionally and personally. Additionally, the organisation you work for benefits from having a more experienced employee. Software development is an infinite learning curve, and this curve is clearly visible in a rapidly developing area of mobile technology. Since a more experienced employee is a more valuable employee, it’s worth to keep that in mind and take advantage of such an opportunity as soon as it comes.